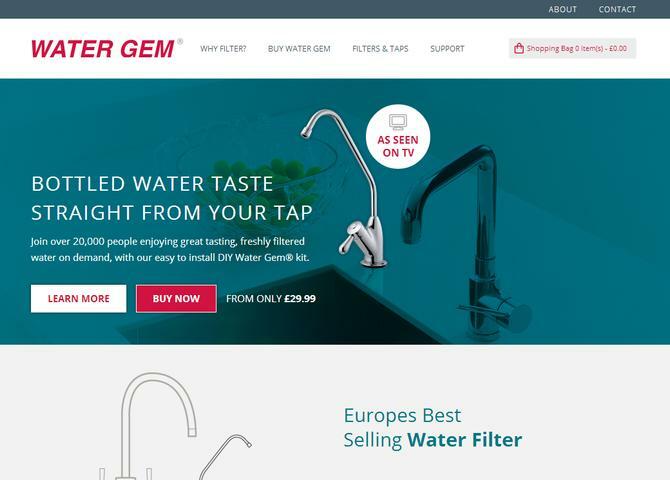 Full microsite solution with e-commerce functions for Water Gem. We have delivered a highly modern, and usable solution which acts as a great platform to support the televised sales campaigns. Customers can purchase the product directly, or replacement parts all via the MODX website, with the aid of FoxyCart to handle all payments.